‘Two-stage’ operation means the air conditioning runs mostly in the lower, quieter stage during small heat load periods and switches to the higher stage during higher outdoor temperatures for faster more efficient cooling. The scroll compressor operates with a sound blanket to reduce compressor sound levels. The two-speed fan motor operates most of the time on a quieter, lower speed. Aerodynamic air discharge design reduces operating sounds. Matching with variable-speed indoor fan allows whisper-quiet indoor operation. The scroll compressor operates without noisy pistons and comes with a sound blanket to reduce compressor sound levels. The two-speed fan motor operates most of the time on a quieter, lower speed. Aerodynamic air discharge design reduces operating sounds. Matching with variable-speed indoor fan allows whisper-quiet indoor operation. This is our most popular model. The scroll compressor operates without noisy pistons and comes with a sound blanket to reduce compressor sound levels. The two-speed fan motor operates most of the time on a quieter, lower speed. Aerodynamic air discharge design reduces operating sounds. Matching with variable-speed indoor fan allows whisper-quiet indoor operation. Basic entry level model. Single speed condenser motor. No sound jacket on the compressor. 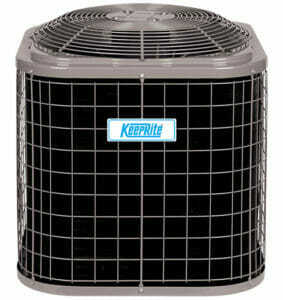 Matching with variable-speed indoor fan allows whisper-quiet indoor operation.